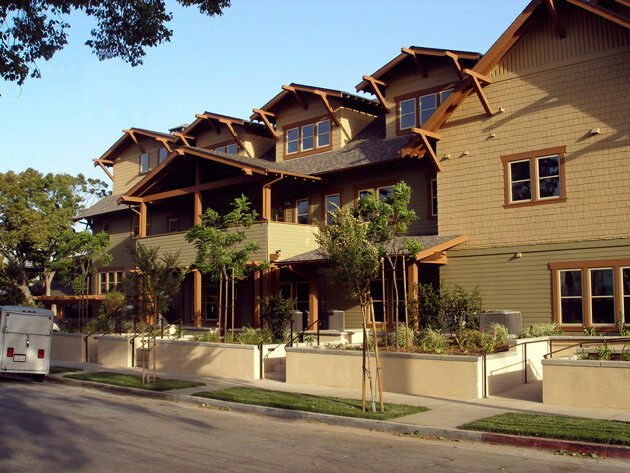 Fair Oaks Court is an affordable housing project that combines classic bungalow style with the typology of courtyard housing in one of Pasadena’s older pedestrian-oriented neighborhoods. 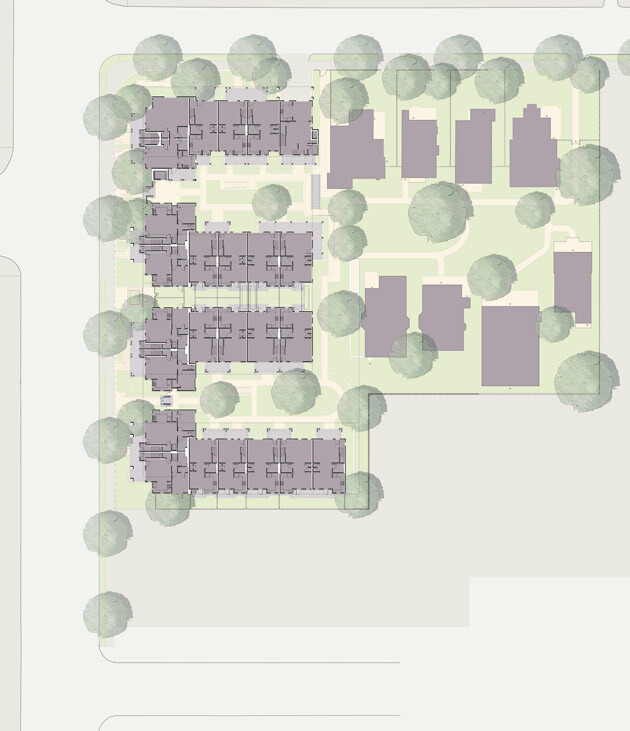 The project includes 31 new Craftsman and bungalow-style one-, two-, three- and four-bedroom townhouse and apartment units, renovation of eight existing houses and a new community room. 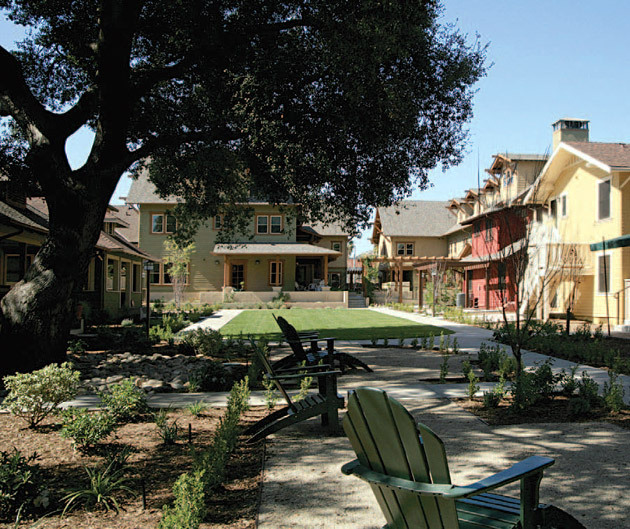 The project’s density of 23 units per acre offers a sense of community plus generous open spaces. The project preserved many of the mature trees on the site which, along with two courtyards, a large green and other open space, establishes a strong garden character. Direct access is provided to apartments and townhouse units, each of which is expressed as two stories with a third attic story. All units are entered via ground floor porches that offer front-door identity and immediate connection to the outdoors, whether front yard, courtyard or green. One level of subterranean parking with 84 parking spaces serves residents and visitors. 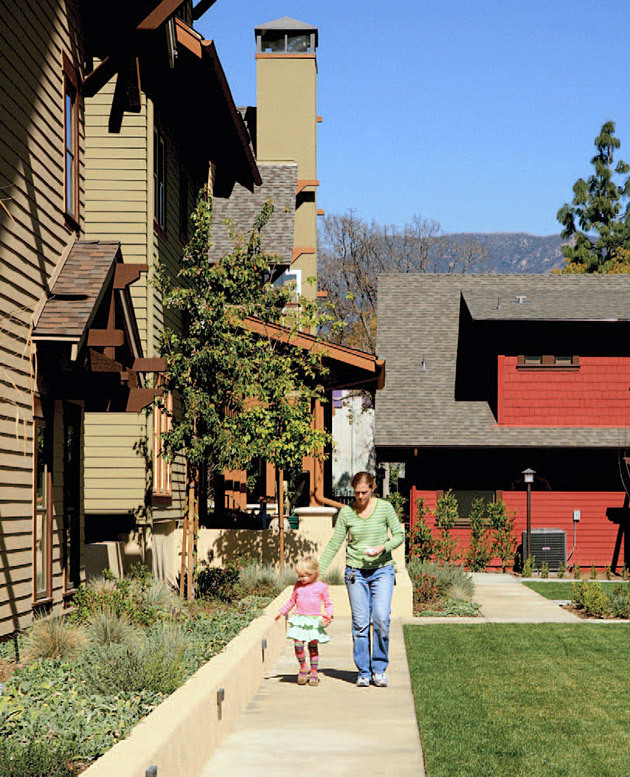 Fair Oaks Court renews a tradition of Craftsman building that has long been practiced in the region and which helped to define Pasadena’s memorable historic character.